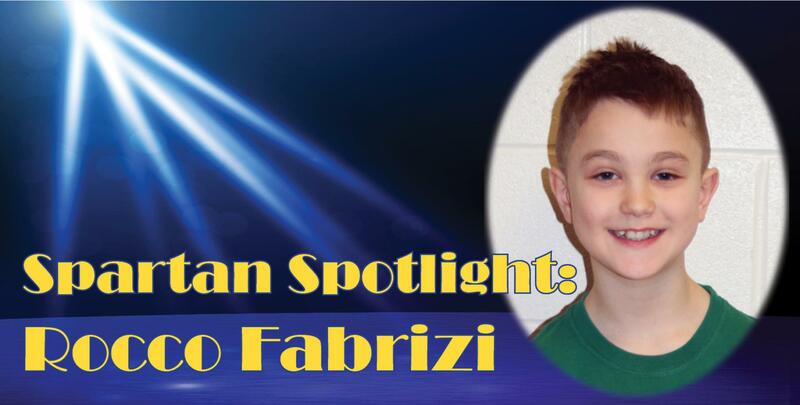 SPOTLIGHT MOMENT: Rocco is an online winner in the USA Hockey Magazine’s poster contest. 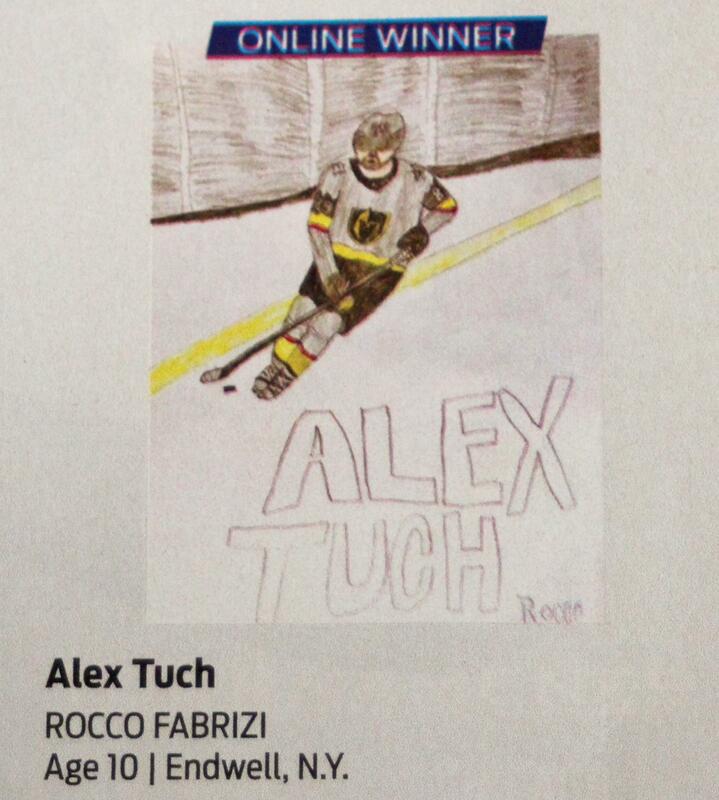 Rocco’s winning drawing of Alex Tuch, forward with the Vegas Golden Knights professional hockey team, was voted on by readers and was featured in the magazine’s January 2019 edition. Rocco has been playing hockey for 7 years and is currently a member of the Binghamton Jr. Devils 10UA travel team. He is a fan of Tuch’s and so his decision to draw him for the contest was an easy one. He even received a shout out from Tuch after a family friend let the hockey player know about Rocco’s drawing. Hobbies/activities: In addition to hockey, Rocco also enjoys playing baseball and football. He is a member of the Homer Brink Safety Patrol. What he wants to be when he grows up: Rocco wants to be a hockey player or sports announcer. SPOTLIGHT MOMENT: Sarah's Spotlight Moment came when she placed 3rd at the New York State Figure Skating Competition at the NYS Fair this past summer. Sarah has been a figure skater for the past 12 1/2 years. She trains with the Binghamton Figure Skating Club. 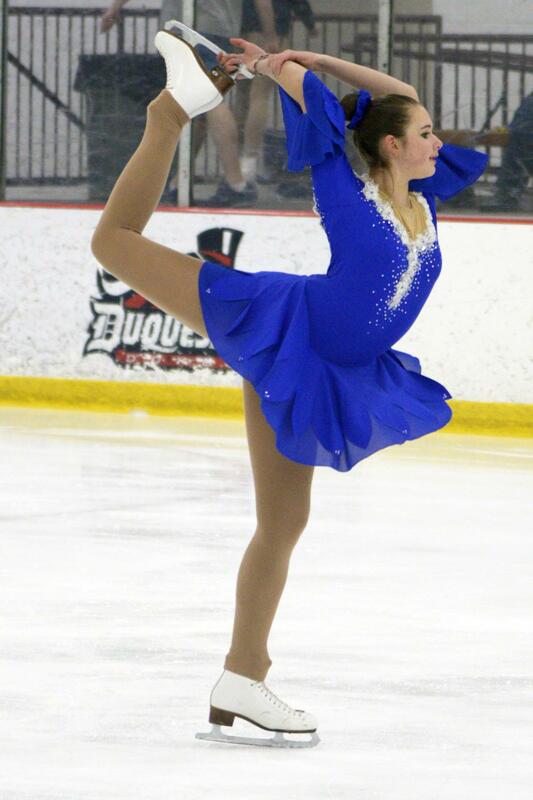 In addition to the NYS competition, Sarah has competed and place at the Ice Sports Industry (ISI) World Figure Skating championships held in July. She has passed her novice moves and hopes to pass her junior moves in March. She currently shares her talents as a volunteer with her skating club, teaching the learn-to-skate program twice a week. She plans to become a USA Figure Skating Association coach this year and pass her senior moves test. This summer she will compete in the Golden Blades competition in Pittsburgh, with skaters at all skating levels and from around the country. Sarah said what she likes best about ice skating is competing and working to improve her technique. Hobbies/activities: Sarah is a musician, playing flute and piccolo in the HS band, and she sings in chorus. She has participated in several New York State School Music Association festivals. 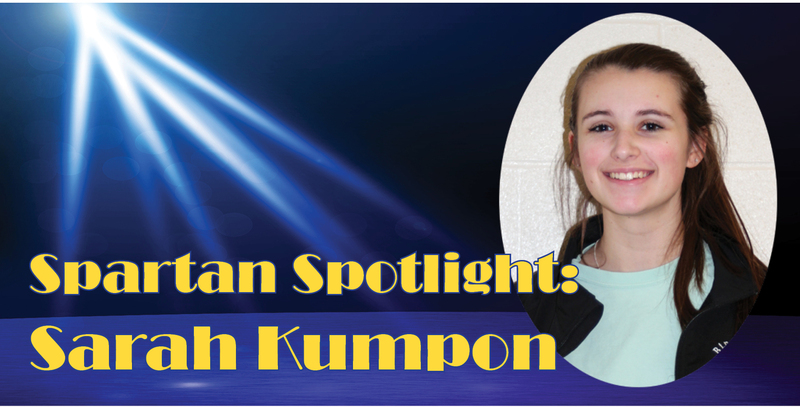 She plays volleyball and is a member of Key Club. What she wants to be when she grows up: Sarah said she will most likely pursue a career in the medical field and she will coach figure skating. 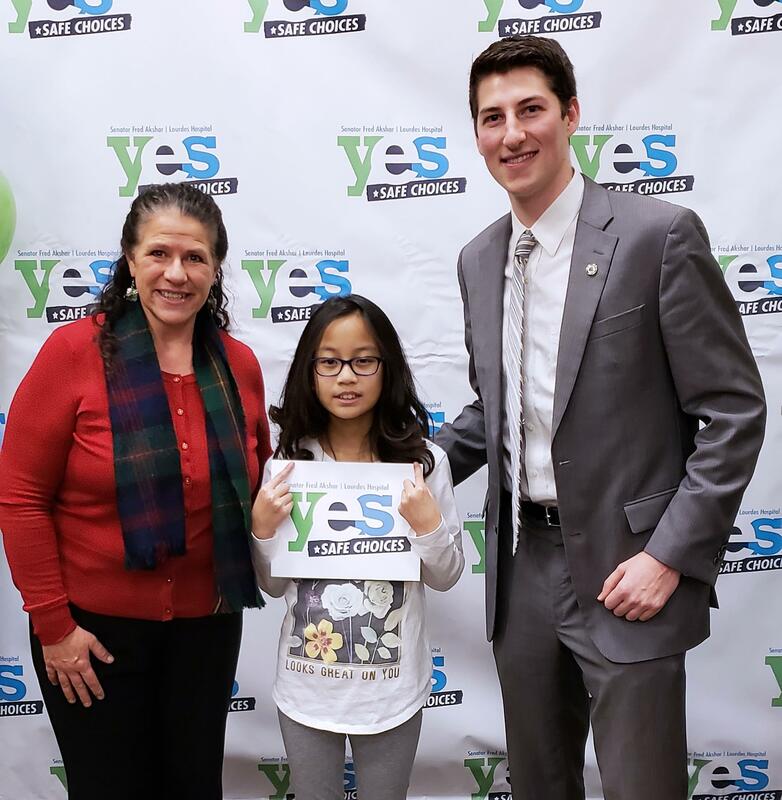 SPOTLIGHT MOMENT: Ada's spotlight moment came in November when her original artwork was selected as a Broome County winning poster in the YES Safe Choices Red Ribbon Week Poster Contest. Ada loves to sketch, especially Anime. 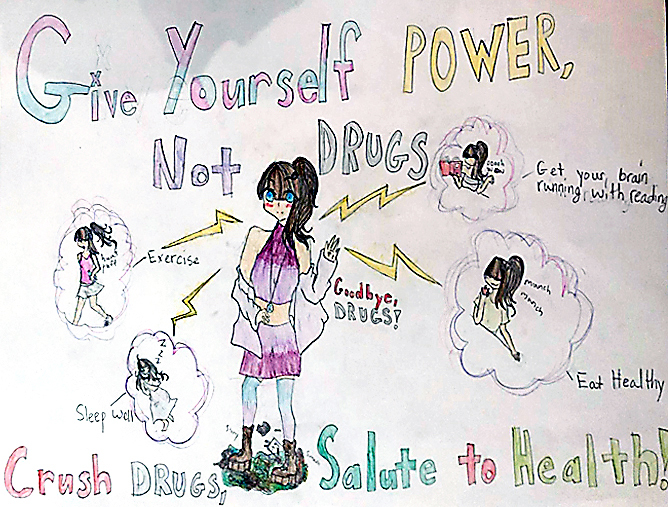 This fall she created her winning entry by combined her artistry with an important message about living a healthy lifestyle. Ada consulted with her family members, including her little sister Ila, before submitting her design. The main character is based on girls in some of her favorite video games. Ada and the other winning artists were honored at a reception and dinner at the Binghamton Arena Club on Dec. 8 followed by attending that evening's Binghamton Devils hockey game. What she wants to be when she grows up: Ada wants to be an artist when she grows up! SPOTLIGHT MOMENT: Amelia’s spotlight moment came this fall when she earned her black belt in karate. 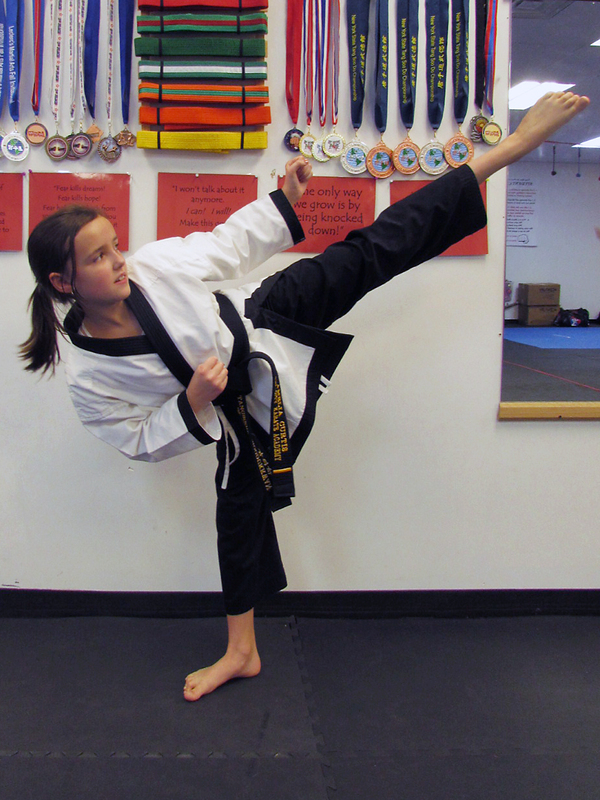 Amelia has been studying karate at Tri City Karate Academy for four years. To earn her black belt, Amelia demonstrated her skills in a two-part test of her form, knowledge of terminology and sparring technique. Amelia will now be part of the Tri City Karate demo team. She will demonstrate her skills in public at community events. She will also help her karate classmates of all ages as they work toward developing their own skills. Amelia said the best part of earning her black belt is that now she has the confidence to protect herself in any situation. Hobbies/activities: Amelia enjoys art and crafting and is a member of her school’s art club. She also plays the ukulele. What she wants to be when she grows up: Amelia would like to care for animals, possibly as a veterinarian, or at a zoo. 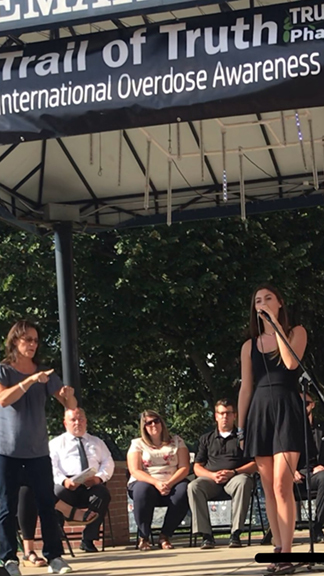 SPOTLIGHT MOMENT: Mia's spotlight moment came in August when she performed an original song, written by the loved one of a person lost to overdose, at the Truth Pharm, "Trail of Truth" event. 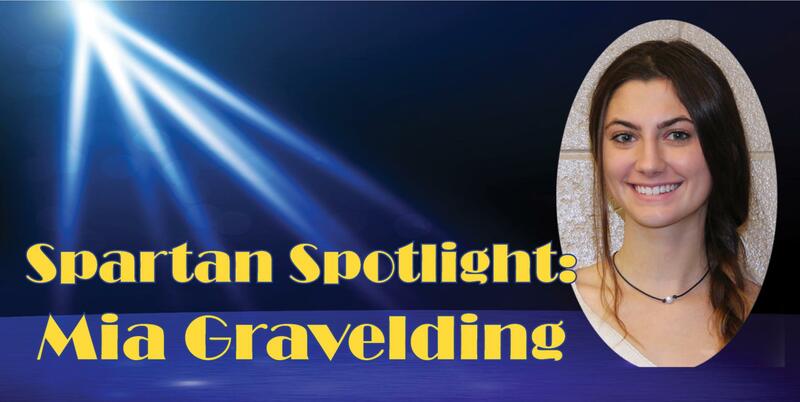 Mia has been singing her whole life, but didn't share her talents in public until she took the stage during the Homer Brink talent show in fifth grade. That was just the first of many public performances for this talented vocalist. In addition to her moving performance at the Truth Pharm event (one that she describes as very emotional), Mia can be heard singing the National Anthem at varsity football, field hockey, and girls basketball games, and she performs at other local venues and events. She's also joined her father, singer and songwriter Nick Gravelding, on a single from his album. The song, "Drives the Heart Away,." and the album are now on iTunes. Hobbies/activities: Mia is a member of the girls varsity basketball team, and the HS's International Club and SADD Club. She is a summer volunteer with the district's Summer Enrichment Program and has volunteered at baskteball camps as a mentor for younger players. What she wants to be when he grows up: Although she's not sure of the career she will pursue, Mia has an interest in photography, and interior and fashion design. And, she will continue to sing. 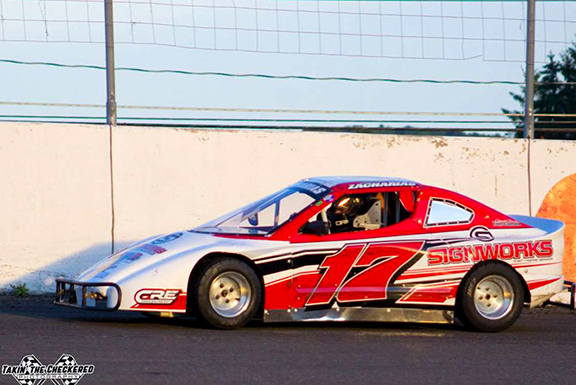 SPOTLIGHT MOMENT: Seth's spotlight moment came when he won the 2017 Bandelier Bandit championship at the Chemung Speedrome. Seth is only 13, but for nine years of his young life, he’s felt the need for speed! Seth is a race car driver. He races bandelero cars, a type of small, light stock car. When the 2018 summer/fall season begins, Seth will move up to a different age group and the dirt sportsman race category. What he wants to be when he grows up: Seth plans to attend the University of Buffalo and pursue a career in technology engineering. 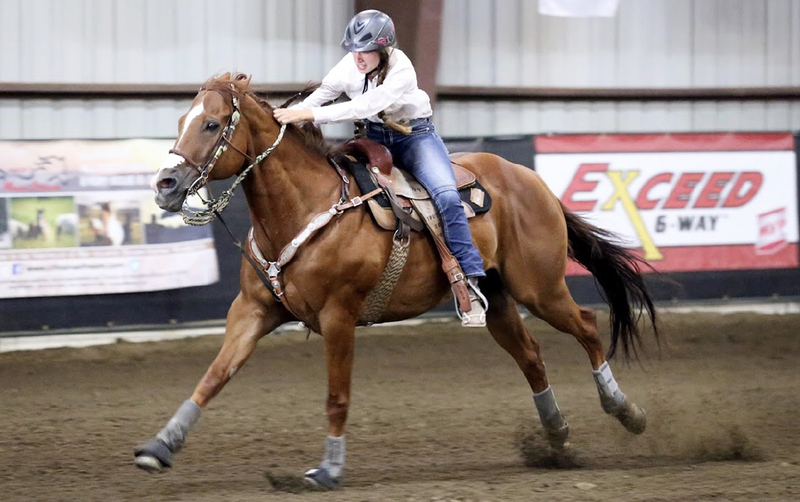 SPOTLIGHT MOMENT: Josie’s spotlight moment came when she became a championship barrel racer, winning the 2017 NYS Barrel Racing Championships (1D). Josie has been barrel racing for five years. Atop her horse Big Red, Josie clocked the fastest time for riders under 18 at the state competition. She continues to compete several times a month during the racing season. Josie enjoys the people in the racing community that’s she’s met along the competition circuit. And then there’s the excitement. “When you get off the horse after a run—there’s nothing like the excitement.” Working with different horses can be challenging. Through her experiences Josie has learned to never give up, and that everything happens for a reason. Hobbies/activities (in and out of school): In addition to riding horses, Josie helps her father tend to the indoor horse arena where she rides. What do you want to be: She’s undecided, but knows she will continue to barrel race.